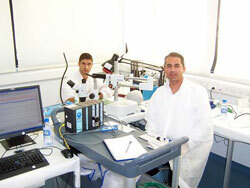 The laboratory was established in February 2007 in the Department of Mechanical and Manufacturing Engineering with University (start-up) and Departmental funding. Critical to the establishment and initial strides was funding from the Hellenic Bank. The faculty, research associates, and students associated with the lab have been interested in the study of global and molecular mechanisms of cardiac mechanics and force generation, as well as on the patho-physiological mechanisms of disease and transgenesis, with emphasis on the murine heart. 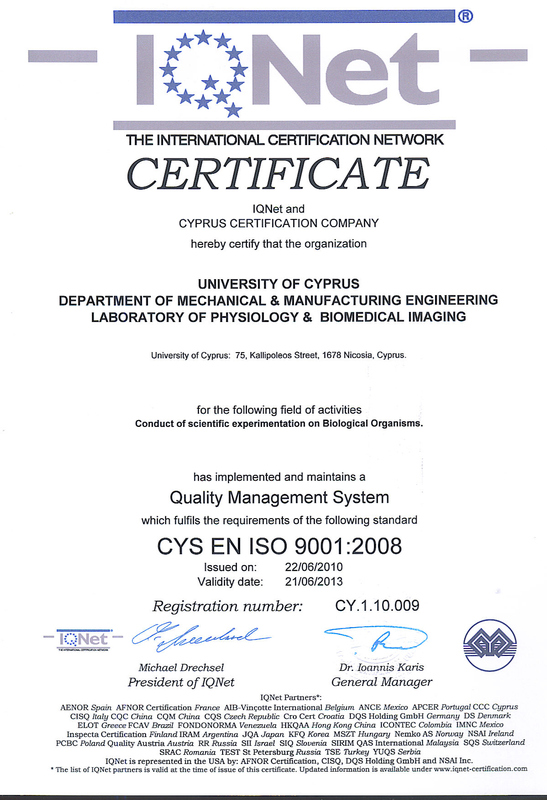 Additionally, work was pursued on the mechanical and functional modelling of the murine and human hearts through the development of new imaging techniques, advanced applications, and processing tools. 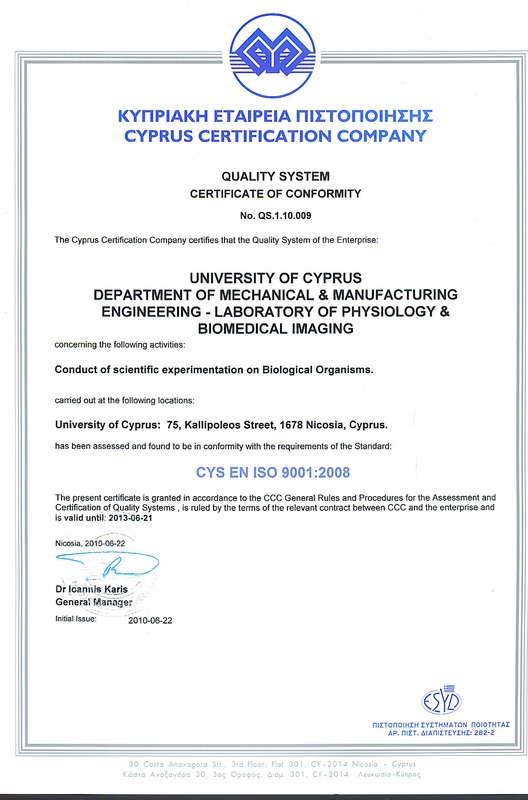 University of Cyprus terminated the appointment of Dr. Constantinides on 10/6/13. The appointment termination has been disputed (Supreme Court) since 2012.